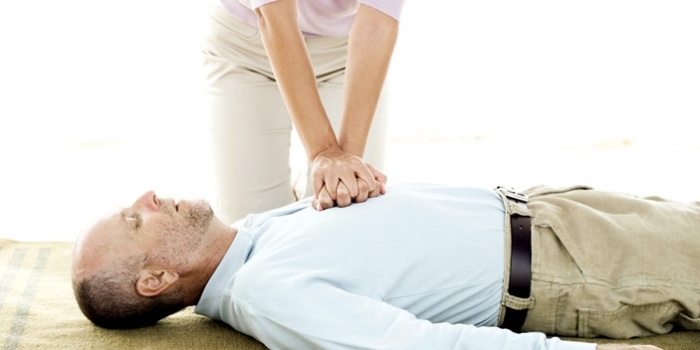 At Maynard Training Services Ltd we offer First Aid Training across England and Wales . Coaching Staff Bronwydd Cricket Club Carmarthenshire Basic Life Support Training (non accredited). The application of over 3 decades experience in the delivery of police first aid training has now being transferred for the benefit of our clients. With experience in specialist First Aid at an operational and training level MTS have gained first hand knowledge in the training delivery and application of first aid. First Aid for frontline retail services, shops, supermarkets, cafes, licensed premises, the transport sector. The skills possessed by MTS can now been passed on to your staff on the frontline. First Aid for sport clubs, from 1993 to 2011 Mike was the official appointed first aider to the British Police Rugby Football Club he has also coached water-based lifesaving skills at Royal Life Saving Society (RLSS) National Competition level (ACPO / RLSS Police Competition) . Fist Aid for the Security Sector, The application and delivery of first aid skills in a high stress conflict arena. Minimum trainer / student contact hours is 6 ½ hours the course will equip the candidate with the minimum knowledge and skills required to save lives in a medical emergency. This course meets the Care Standards requirement for staff training and also that of the appointed person status. This Health and Safety Executive approved First Aid at Work re-qualification course is compliant and meets the requirements of the HSE (First Aid) Regulations 1981. Holders of this First Aid at Work Certificate can be used as First Aiders in the workplace in accordance with the Health and Safety at Work Act 1974. This Health and Safety Executive approved First Aid at Work course is compliant and meets the requirements of the HSE (First Aid) Regulations 1981. Holders of this First Aid at Work Certificate can be used as First Aiders in the workplace in accordance with the Health and Safety at Work Act 1974. A paediatric First Aid Course designed to provide candidates with the minimum knowledge, understanding and skills that are required to save lives in a medical emergency. The course meets the requirements of an ‘Appointed Person’ ideal for nursery nurses and persons responsible for young children. The most common cause for a cardiac arrest is a ‘heart attack’ if a heart attack (or other cause) results in a cardiac arrest then early defibrillation through a controlled electric shock is vital to maintain ‘the Chain of Survival’. This process can be achieved through the application of an Automated External Defibrillator or ‘AED’ as it is more commonly known. The use of an AED can dramatically increase the chances of survival if a casualty’s heart stops beating, but must be used promptly for every one minute delay in delivering the ‘shock’, the chance of survival reduces by up to 10%. (Barraclough. N. ‘CPR and AED Made Easy’). AED devices are becoming more easily accessible within communities. No previous experience is required for this course. We are able to deliver the courses to individuals or organisations and can fit in often at short notice with work and organisational shift patterns. MTS can deliver training through scenario based training, students benefit and develop hands on skill within a safe learning environment. This process can be achieved through prior consultation with clients in order to identify specific requirements applicable to the individual customer environment. * Please note that due to the recent changes in legislation the HSE courses will be withdrawn from the 30th September 2013 and replaced by QCF accredited courses. FAW - to enlarge click on image. Maynard Training Services Ltd are accredited by leading Awarding Organisation Qualsafe Awards and are proud to offer regulated first aid qualifications. This means that you can book with us and rest assured that you have fulfilled your legal responsibilities for providing quality first aid training without having to undertake any due diligence. Click on the 'First Aid Requirements Calculator' to undertake a needs analysis for your business.